Build and stack for limitless fun with the award-winning First Builders Big Building Bag. These bright pink coloured blocks encourage hands-on exploration and open-ended play. Construct tall towers and fantastic fortresses. 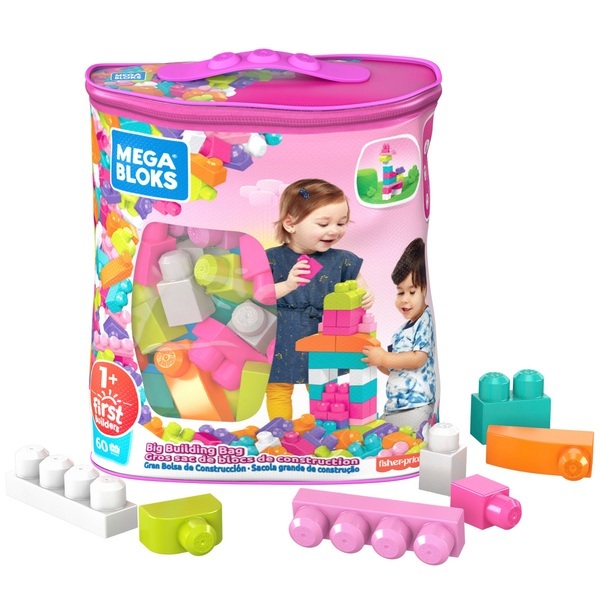 First Builders blocks are made big, especially for little hands to handle. When playtime is over, conveniently pack and store the blocks in our new eco-friendly, PVC-free packaging. EU Warning: Not suitable for children under the age of 1years due to small parts which could cause a choking hazard.